Today I'm heading home from my holidays. All this week I've been sharing some old memories of summers in wonderful places because I knew that, where I was staying, internet access wouldn't be good enough for regular blogging. 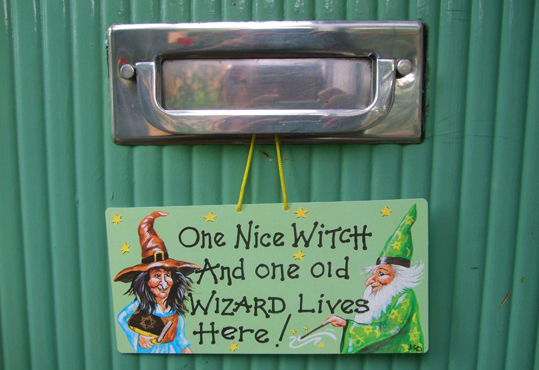 While looking through my photo albums I came across this picture of my front door with a sign I was given as a present from a friend. Holidays are great, but there's no place like home.